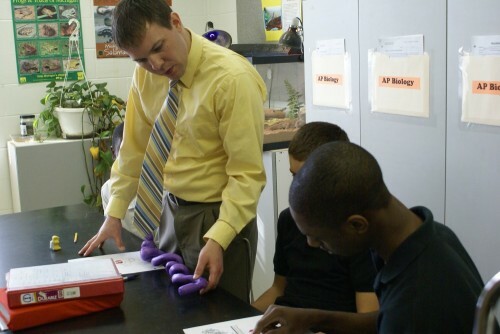 As a former high school science teacher and Sciency Olympiad coach, John Sowash has a passion for science, technology, engineering, and math (STEM) classrooms. John has developed a special workshop designed to help equip teachers in STEM classrooms teach and encourage student-student collaboration. John’s STEM workshop has been featured at the 2011 Illinois Computing Educators (ICE) conference, Google’s professional development series for educators, the ISTE Connect webinar series, and the 2012 Michigan Association for Computer Users in Learning (MACUL) conference. The resources for this STEM workshop are freely available here. John is available to customize and deliver this workshop for your school or district. Please contact Sowash Ventures to inquire about John’s availability.